Having read Molly's romance, The Rogue's Daughter many years ago, I thought I'd give this a chance just because I enjoyed that historical love story so much. I was surprised in spite of having read the cover blurb and getting a peek at the spooky cover, how different Gatehaven was from that romance I read so long ago. 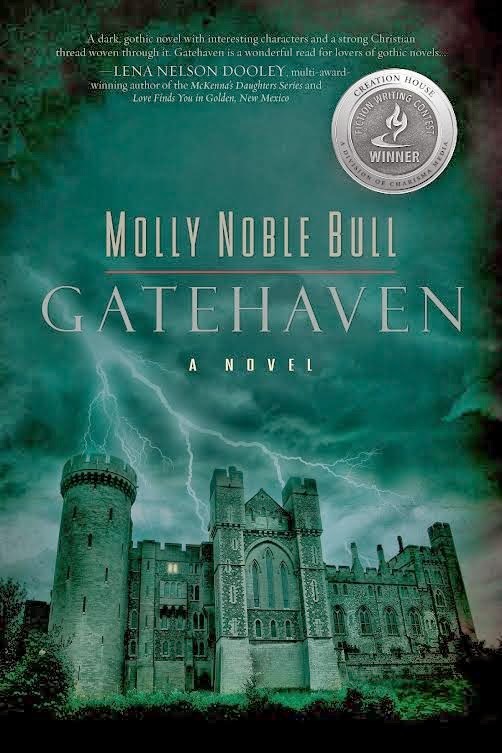 It's unusual to find authors who can write across genres so well, and Molly Noble Bull definitely does that. Heading into this book I was prepared for some drama and possibly some mystery, but this story far exceeded my expectations. The creepiness factor was off the charts. Normally, even with some suspense or crime novels that I've read in the Christian genre, I don't often label them as spine-tingling, but this one definitely was. There's not one, but a handful of strange characters -- the most evil of those being a fiendish Frenchman out to settle a bizarre score that had been eating away at him for decades. I get the heebie jeebies just thinking about him after the fact! I have to say however that trying to predict what he would do next kept the story going for me. I was a little disinterested in the heroine, Shannon Aimee. Shannon was a bit of a TSTL character. Running off with someone she knew nothing about other than he was rich and handsome all while brushing off warnings from family and trusted friends, just made me unable to connect with her in any way. I was a little surprised at her family's decision to let her go, especially since she was so naive, with all the danger that they themselves ran from in the past. Faith is important, but so is a little common sense. I was a little frustrated with how the story ended too. I felt that the trip to the Carolinas took away from the story. The majority of the book was set at or near Gatehaven. The fact that everything, including the final confrontation between the Aimee family and their foe, happened in the last few pages thousands of miles from the spooky estate that had become a central part of the story, threw me off a bit. When all was said and done, I liked the story. It was completely unique and different from anything I have read in the genre. It's definitely heavy on Christian themes and spiritual warfare, so I'd probably only recommend this to those who like Christian fiction. It was well written and entertaining. Molly Noble Bull was born in Kingsville, Texas—home of the famous King Ranch. Her father and maternal grandfather were real Texas cowboys, and she enjoys writing western romances. But she also writes historical novels. Gatehaven, her long Christian gothic set in Europe in 1784, won the 2013 Creation House Fiction Writing Contest while still a manuscript, and Gatehaven is the novel being featured today. However, Molly’ first two published novels came out from Zondervan. Her Zondervan novels were later reprinted and published as Promise Romances from Guideposts. Molly also sold novels to Love Inspired and Tsaba House, and Westbow Press published The Overcomers: Christian Authors Who Conquered Learning Disabilities, a non-fiction book she wrote with four other Christian authors. Molly owns the rights to her Zondervan romance novels now, and she will soon self publish The Rogue’s Daughter as an e-book. Rogue is a western set on a South Texas cattle ranch in 1890. It was my pleasure to be a part of the tour! 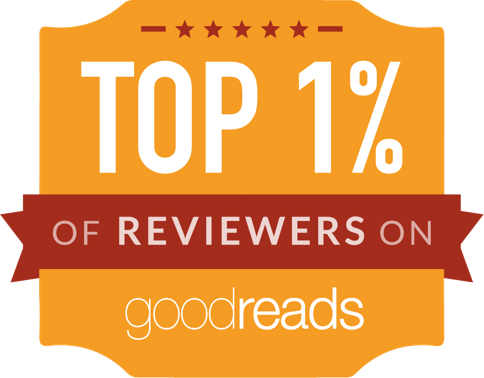 Thanks for posting your review of Gatehaven, and I'm glad you liked The Rogue's Daughter. Rogue will be coming out as an e-book in a couple of months with a new cover. I'm so excited to see Rogue out again! 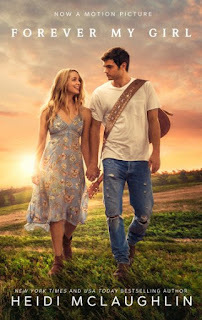 It was one of my favorite Guideposts romances! Gatehaven is going to very chilling sort of book. I like the sound of a Christian Gothic novel. An England setting is, of course, always just right for a novel like this. I am interested in reading about the religious warfare...I thank you for this chance to win it, but, more so for giving me a heads up about an author I hadn't heard of before.